Microsoft Excel is the spreadsheet component of the Microsoft Office Suite. Most people use it in their home and business life but very few use it to its fullest potential. As a Microsoft Office Specialist, I am always amazed at the time and effort people waste when trying to create a spreadsheet from scratch. Often times this can take hours, days or even weeks for something mediocre at its best. 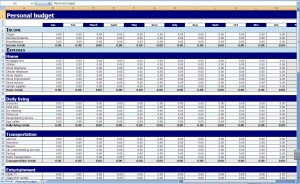 Excel templates are simply spreadsheets that are pre-formatted with text, colors, and/or formulas. They can be used to save you time and effort. Most times you are using something as a template and don’t even realize it. By this I mean you have a spreadsheet that you use daily. You may have to modify a few cells but the remainder of the spreadsheet is exactly the way you want it. It may be tedious to modify the cells but it is easier than recreating it from scratch. If you wanted to make this spreadsheet into excel template, you would need to take two more steps. The first step would involve modifying the spreadsheet to display only the data that remains the same. If you are constantly changing certain cells, you would leave these cells formatted but blank. The last step involves saving this spreadsheet as a template. Once this is done, you would always have access to a clean spreadsheet that is formatted the way you want and ready for your modifications. Microsoft has hundreds of free templates available on their website http://office.microsoft.com/en-us/templates. You can also download templates that are already loaded in your version of Excel. They are typically located under the File/New or Office Button/New option. When downloading these business and personal templates, be sure to monitor the version of Office that the template applies to. They have templates available for all of the Office Suites from 97 – 2010. 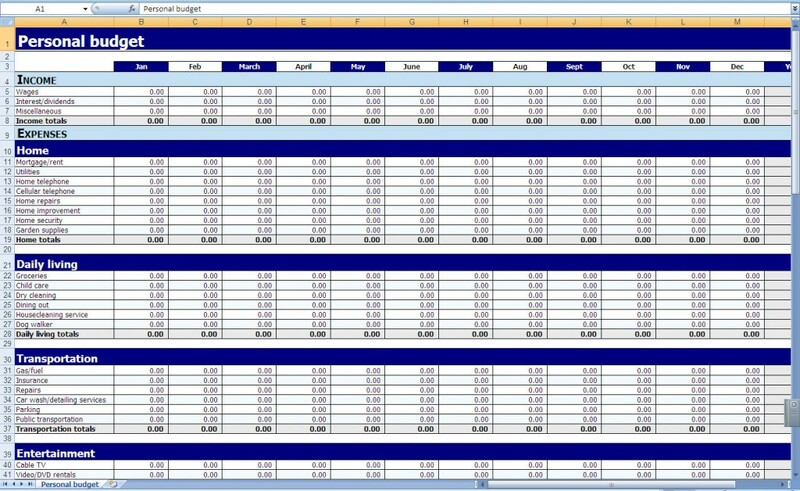 Get more online excel templates here: FREE excel templates on your computer. Google also has templates available for their Google Docs website. They have free templates available at http://docs.google.com/templates?hl=en.